Dog training is a very important aspect of responsible dog ownership, but what are the Do’s and Don’ts when it comes to teaching your dog manners? It is a fact that all dogs thrive on good dog training. Working alongside a dog who is enthralled in their training is a very special and cherished connection. If you are new to whole dog training scene you may be overwhelmed with the amount of information available when it comes to teaching your dog basic commands and tricks. The most important aspect of dog training is patience. It is vital you are patient with your dog and that you learn the signs of when your dog has had enough (AKA “Muuuuuum / Daaaaaaddd I’m bored! YAWN”). Keep it fun. Dog training is all about working with your dog, not your dog working for you. Training young dogs and pups takes time, and consistency. However, you will be simply amazed by how quickly your young, or old dog, can pick up new commands and tricks. But they key is patience, patience and patience. 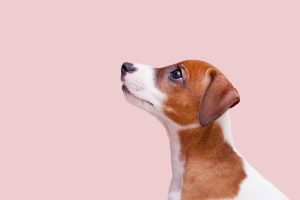 All dogs will need training, and many times it is not until the adorable pup has grown into a fully grown dog that many realise just how important dog training is. After all, a little bundle of fluff jumping up and licking you is incredibly cute! However, a 45kg drooling dog running full pace to jump and lick you is certainly not cute and, for many doggy homes this situation can be a downright embarrassing disaster. Understandably this type of scenario can be avoided by careful planning and training. You should implement the rules and behaviours you expect from your dog when they are energetic enthusiastic pups. Dog training should start the second your pup arrives home. Basic dog commands like ‘sit’ and ‘drop or down’ can begin immediately. 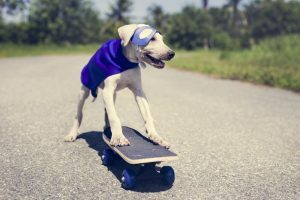 So what are the main benefits of dog training? 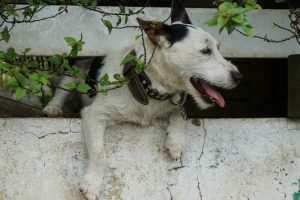 Connection – it will improve the amazing bond you share with your dog. Language – you will both speak the same language. Leadership – you will become your dog’s loving leader. For a dog to feel confident and secure they need strong, loving leaders in their lives. Manners – your dog will be well mannered. Meaning they will not jump on guests, push past children or the elderly when walking through doors or beg/drool over friends. Control – you will have confident control over your dog, this is vital during times of stress, like a vet visit, or in crowded areas. Behaviour – a well-trained dog is much less likely to suffer from behavioural problems such as aggression, anxiety and destructive tendencies. DO be patient your pup or older dog is learning and with all learning it takes time. DO be consistent, with your rules, voice and commands. DO write out a ‘rule list’ so that everyone in your home is on the same page when it comes to training and house rules. DO socialise your pup and book into a puppy-preschool class and enrol your pup at your local group obedience lessons. DO ask for help from professional dog trainer if you are worried about a certain behaviour. DO make dog training fun and not tedious and boring. DO keep your training sessions short and enjoyable for your dog, particularly important for young pups. DO praise your dog for the right behaviour with your voice, a game, big pats and treats (if you are using them). DO teach your dog to walk nicely on a lead without pulling you down the road. 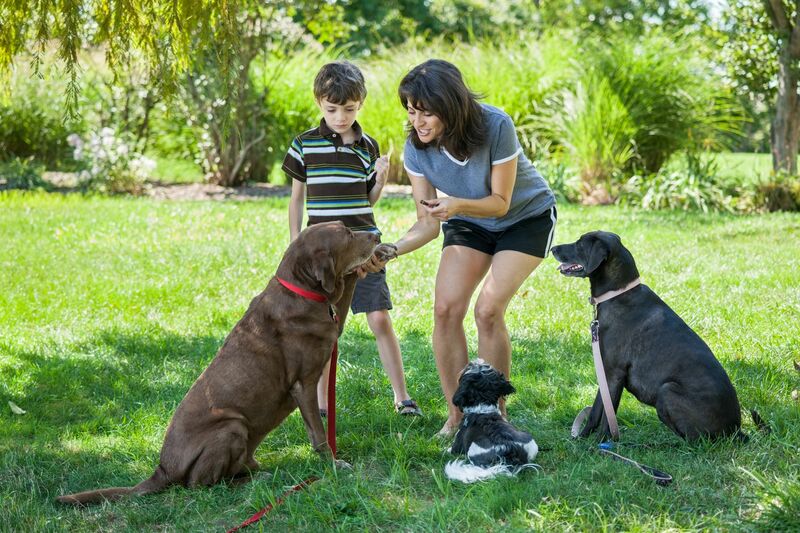 DO make dog training a part of your dog’s daily life, and not just a means to solve a problem. DO be positive and loving with your training methods and seek professional advice to what method is best for your dog and breed. DO use hand signals with your dog training. 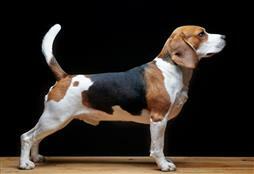 Dogs mostly communicate with body language so consistent low tones and hand signals work well. DON’T hit your dog, for any reason. By hitting your dog, you will evoke fear. Dog training is when you and your dog work together as a team not one person dominating or pushing. If your dog is not enjoying your training or listening, mix it up or put a halt to it and try again later. If you feel you are getting angry with your dog, stop the training immediately and seek advice from a trained professional. DON’T yell at your dog. 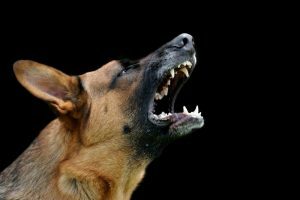 If your dog does not understand the command, yelling will not make it any clearer. Understanding that dogs mostly communicate with body language. Consider adding a hand signal or mixing it up with treats or games. Make it fun. If your dog is not listening they are either over it, or do not understand what you are asking. DON’T have long tedious dog training sessions. Remember to keep it fun, short and interacting. You are teaching your dog to work with you, not for you. DON’T get disheartened or frustrated. Call in the professionals and they’ll help you and your dog work together in harmony. All dogs can be trained (just like with humans).